HSE Management systems play an extremely important role in reducing risk, creating a culture that places importance on health and safety and in supporting the continuous improvement of all business processes. A dedicated HSE Management System will ultimately help to avoid incidents in the workplace by identifying steps in the process where risk is a real factor, assigning responsibility for the improvement and communicating the roll out of the new process once agreed. In this article we’ll explore how an HSE Management System approach can help to maintain and improve health and safety best practice, extend HSE processes and documentation well beyond the boundaries of the HSE department and help to ensure HSE compliance. 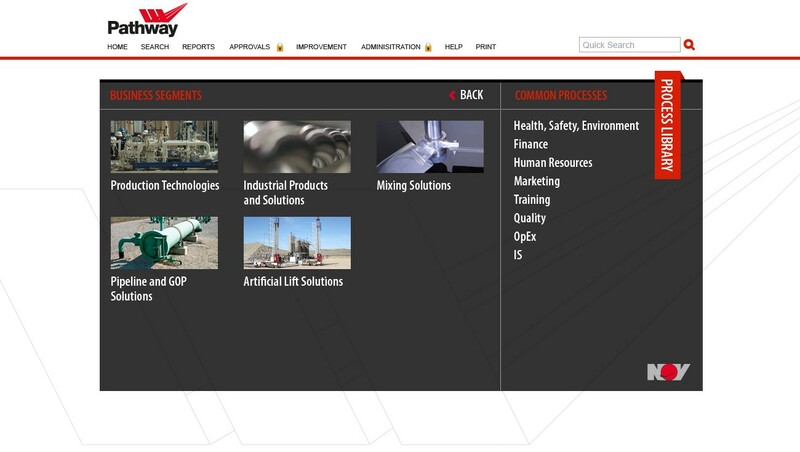 Below, I have used a real example of an HSE Management System implementation (National Oilwell Varco) to demonstrate the improvement capabilities of a dedicated management system. If you would like to see how a dedicated Business Process Management system was able to help NOV with their HSE issues, sign up for the case study here. In order to do this, you'll need a methodology such as Deming's Plan-Do-Check-Act Model, which is a process cycle synonymous with continuous improvement and quality management. The implementation of this model will allow a business to create better processes that manage risk effectively and negate possible points of quality failure. Used in conjunction with a RACI Matrix, which assigns specific job roles in the organisation with their process role (responsible, accountable, consulted and informed), this allows a business to implement a continuous improvement project within an organisation that includes the appropriate stakeholders for each process. When all employees understand what part they have to play in a process, a business can quickly see who should be included in the process decision and what role they have to play. This is also extremely helpful for HSE compliance. Lastly, a Risk Matrix can help an organisation see a process in its entirety and map out the points where risk is most evident. When you can understand where the risk is in your organisation, you can take action to avoid a process failure. The problem with implementing Plan-Do-Check-Act, RACI and a Risk Matrix is that, when used in conjunction with hundreds or even thousands of processes, it quickly becomes extremely difficult to keep track of your process data, and what it's telling you, unless you have a dedicated HSE Management System. The first step to building your HSE management system is to clearly identify all of the end-to-end processes specifically relating to health and safety in your organisation. This will be organisation wide. For your HSE management system to be effective, it is essential to capture exactly what happens at each stage of the process, otherwise there is a real chance that things will be missed and you could be compromising your employees’ safety at work. By ensuring that your HSE processes are as accurate as possible, you can then start to identify any gaps or inefficiencies, which could contribute to increased risks to health and safety in the workplace or your company’s impact on the environment. In most organisations, it is likely that there will be many supporting forms and guidance documents to accompany your HSE processes, and it is good practice to keep these together in an HSE Management System so that they can be found easily. 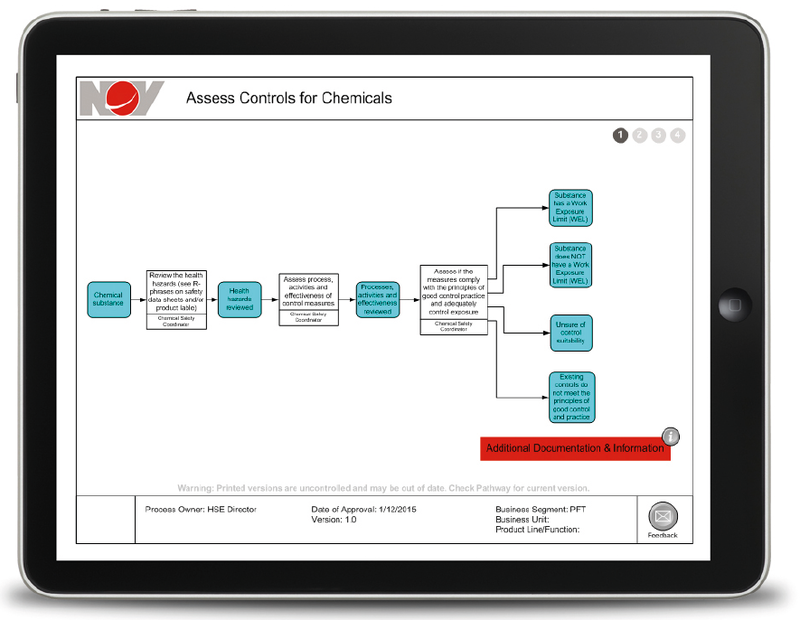 The best way to reach HSE compliance with your processes is to capture and present them in the form of a process map. In its simplest form, a process map is a visual representation of the steps taken in each HSE process to transform inputs into outputs. Once all of your HSE processes have been mapped along with their supporting documents, they will need to be housed somewhere that is easily accessible to everyone in your organisation so that the correct processes can be easily accessed and followed. This will really help to minimise health and safety risks and accidents in your organisation and will also help to minimise the impact on the environment - this is why an HSE Management System is so important. One of the best ways to make finding and following HSE processes easy for your employees is to house your processes online. This not only creates a one-stop-shop for all your processes, policies, forms and guidance documents but also allows you to quickly and easily make improvements to your HSE processes and ensure that they are kept up-to-date. A fully dedicated HSE Management System will make HSE integrated processes a reality by including all processes, documents and forms in a single process library, fully searchable by the job title and fully reportable -this includes full RACI and risk data. A process library forms part of a dedicated Business Management System. To see a live, interactive example, please click here. The key benefit of Process Libraries is that they can be shared across your organisation. This makes it easy for employees who work in different departments, or who work off-site to access the information that they need. A great Process Library should have excellent search functionality so that HSE processes can be found quickly and easily with the use of keywords or by separating them into business areas. Triaster is able to create bespoke management systems for organisations, structured to cater to the specific needs of their business to solve their particular business problems. Take a look at some of our example process library homepages to see how Triaster has created management systems for companies in the past that are easy to access, easy to use, attractive to use and useful to use. To see how National Oilwell Varco used the Triaster system to deal with their HSE issues, sign up for the case study here.